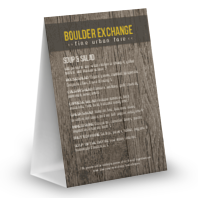 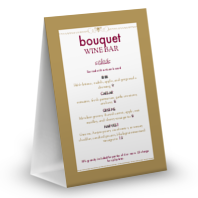 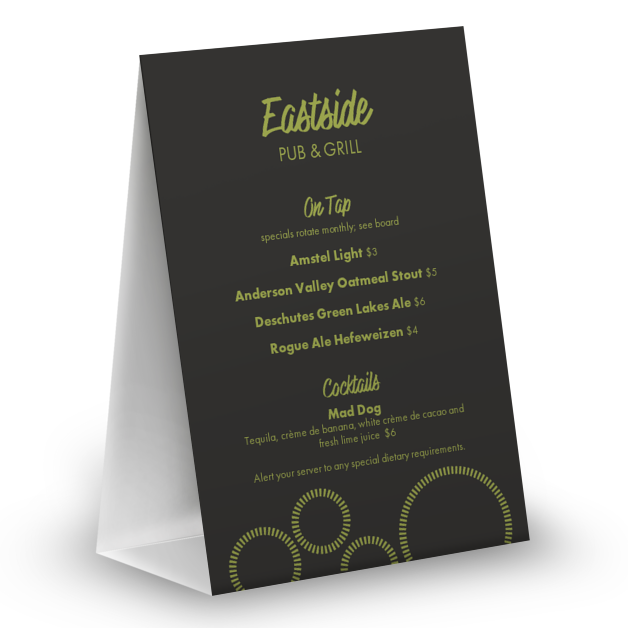 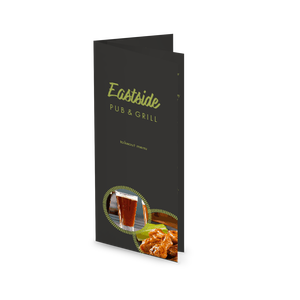 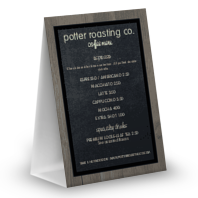 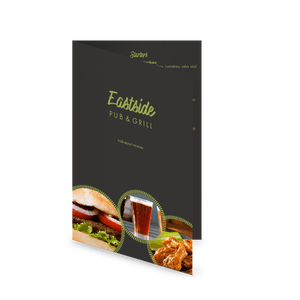 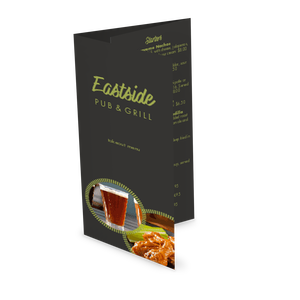 Entice your customers to enjoy some burgers, brews and wings with this eye-catching Casual Pub table tent. 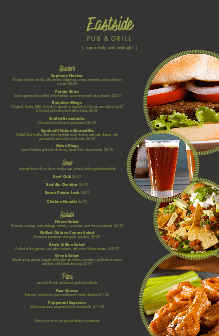 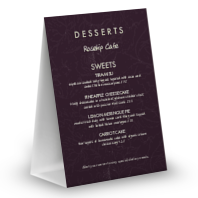 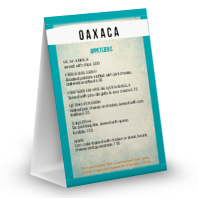 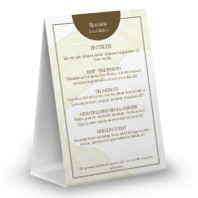 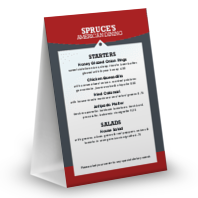 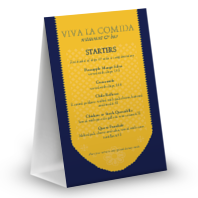 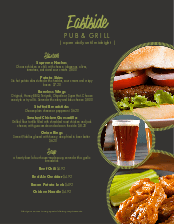 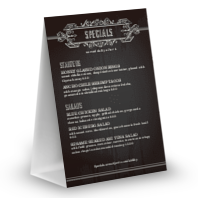 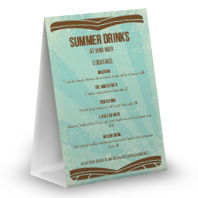 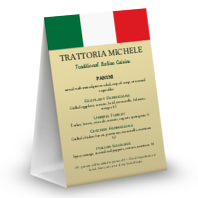 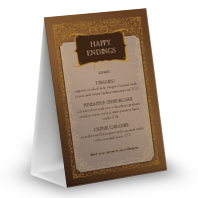 Circular green design accent your menu items. Use the stock photos or upload your own. 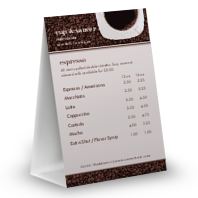 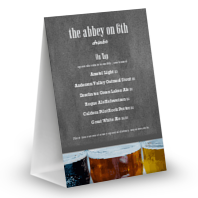 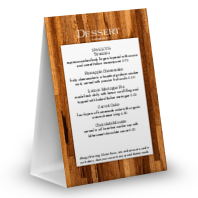 Change the font style and color for some extra customization using the online Menu Maker.